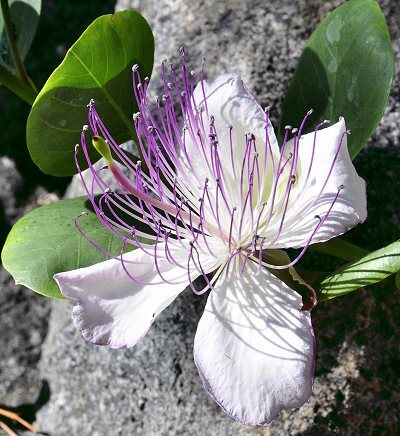 If you are patient, you can watch this incredible Caper flower open before your eyes. If you are hungry for Capers, you will never see this magnificent vision. It is the young, tender green flower pods that are picked and pickled. In the picture below, the bottom pod is too young and the top pod, which is just about ready to open, is too old. The middle one is just right for pickling. Caper bushes are spiny, trailing, deciduous shrubs native to the Mediterranean that like to creep in amongst rocks and limestone. 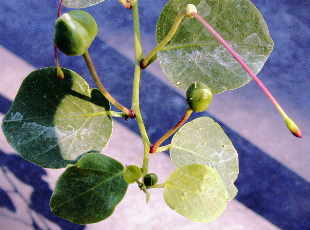 Caper plants are tender and will not take freezing temperatures. They have over wintered in a very cool greenhouse now for several years. Grow them outdoors in a pot in full sun during summer and bring them in for the winter. In W.E. Shewell-Cooper's book Plants, Flowers and Herbs of the Bible, we learn that the Hebrew word for Caper is tapher which actually means desire. Capers are found in Jerusalem and around Nazareth and are offered as a sort of Hors d'oeuvre to stimulate the appetite or to increase the desire to eat. 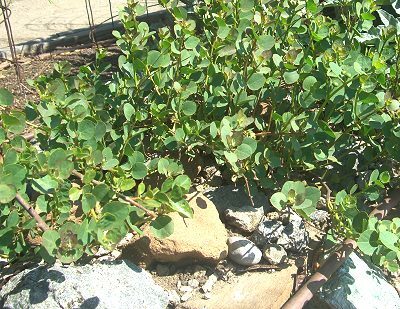 Caper makes an excellent addition to our Biblical Herb Garden Six Pack.